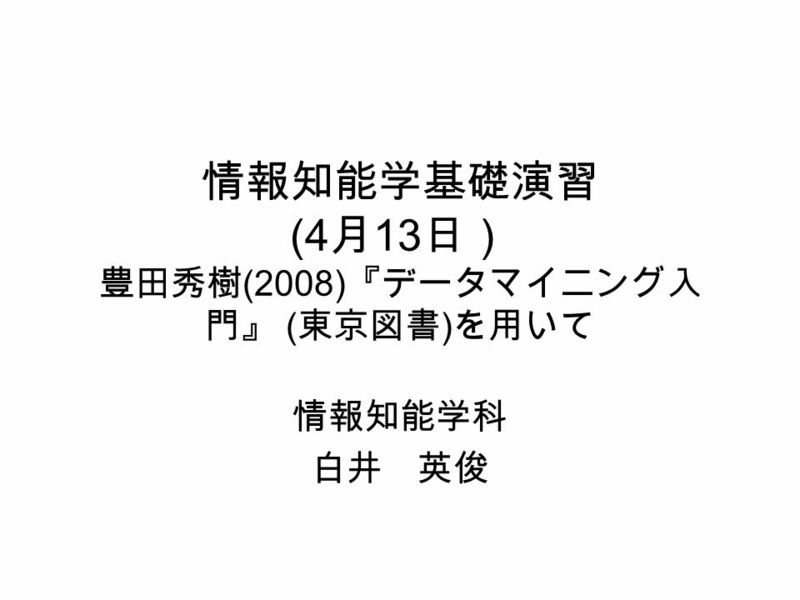 情報知能学基礎演習 (4 月 13 日） 豊田秀樹 (2008) 『データマイニング入 門』 ( 東京図書 ) を用いて 情報知能学科 白井 英俊. 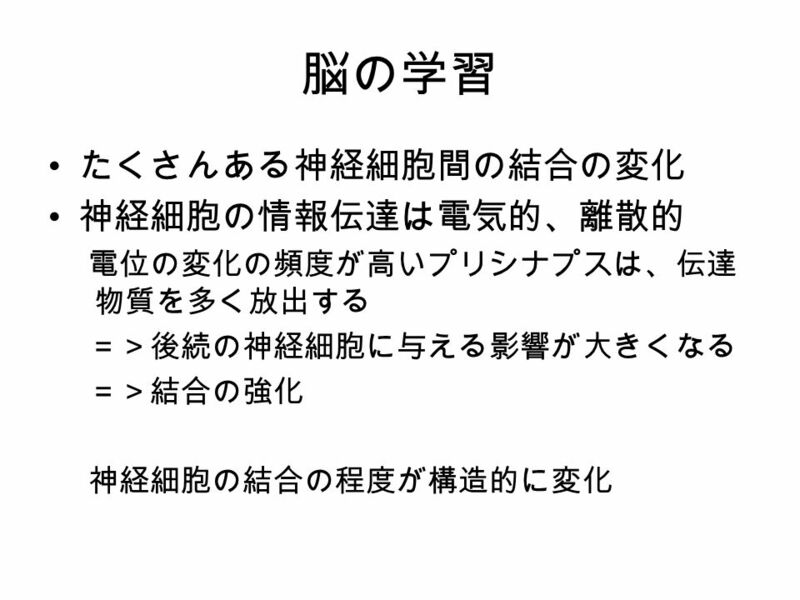 5 Help! 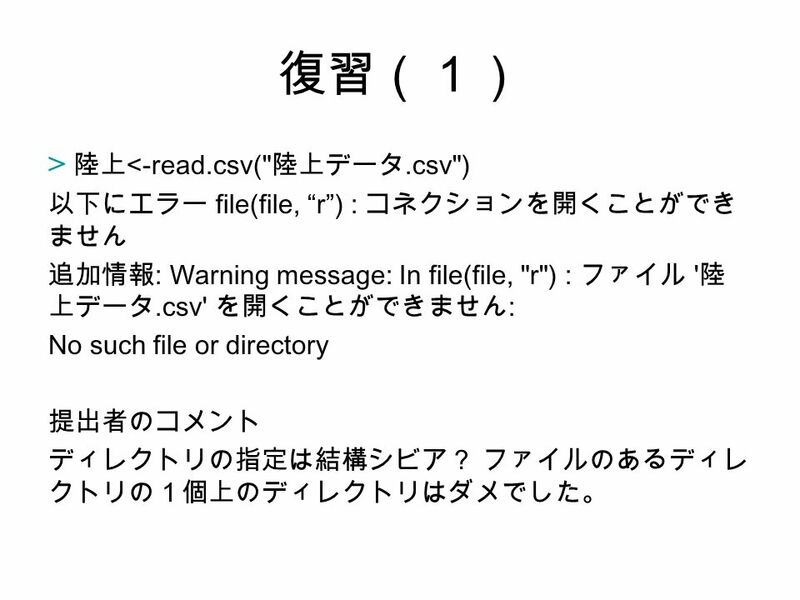  ?write.csv ( または help(write.csv) ) write.table prints its required argument x (after converting it to a data frame if it is not one nor a matrix) to a file or connection. 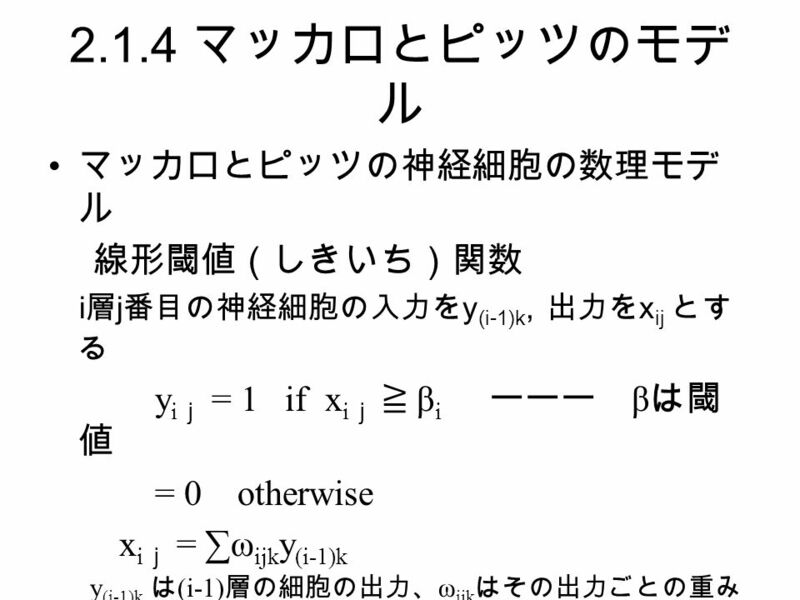 Usage write.table(x, file = "", append = FALSE, quote = TRUE, sep = " ", eol = "\n", na = "NA", dec = ". ", row.names = TRUE, col.names = TRUE, qmethod = c("escape", "double")) write.csv(...) write.csv2(...) Arguments x the object to be written, preferably a matrix or data frame. If not, it is attempted to coerce x to a data frame. 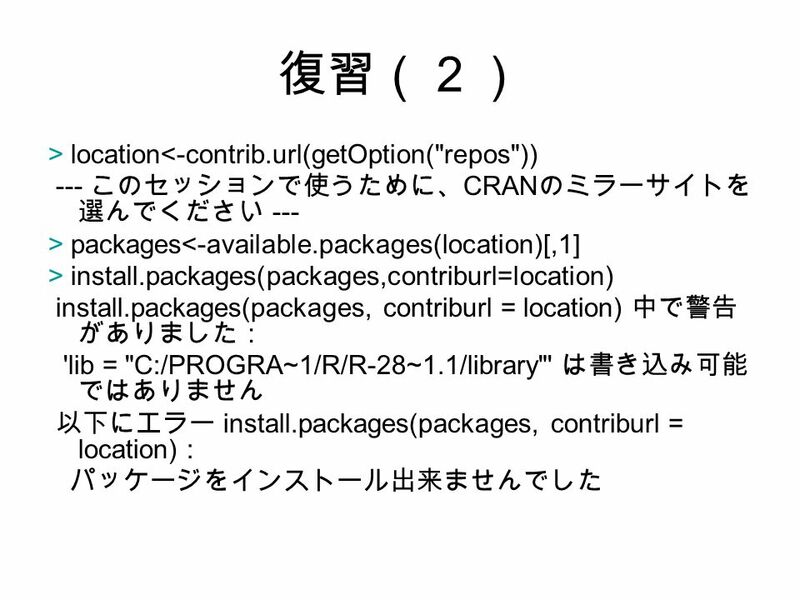 file either a character string naming a file or a connection open for writing. "" indicates output to the console. append logical. Only relevant if file is a character string. 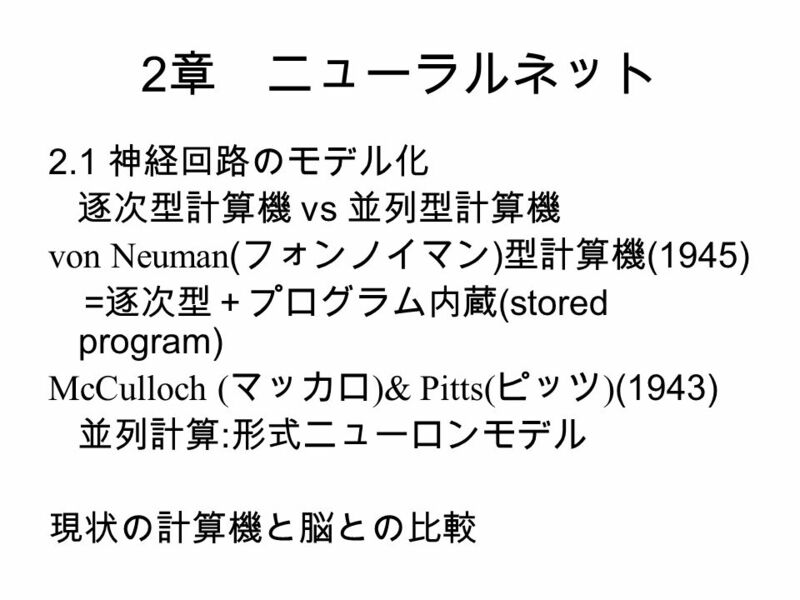 If TRUE, the output is appended to the file. If FALSE, any existing file of the name is destroyed. quote a logical value (TRUE or FALSE) or a numeric vector. If TRUE, any character or factor columns will be surrounded by double quotes. 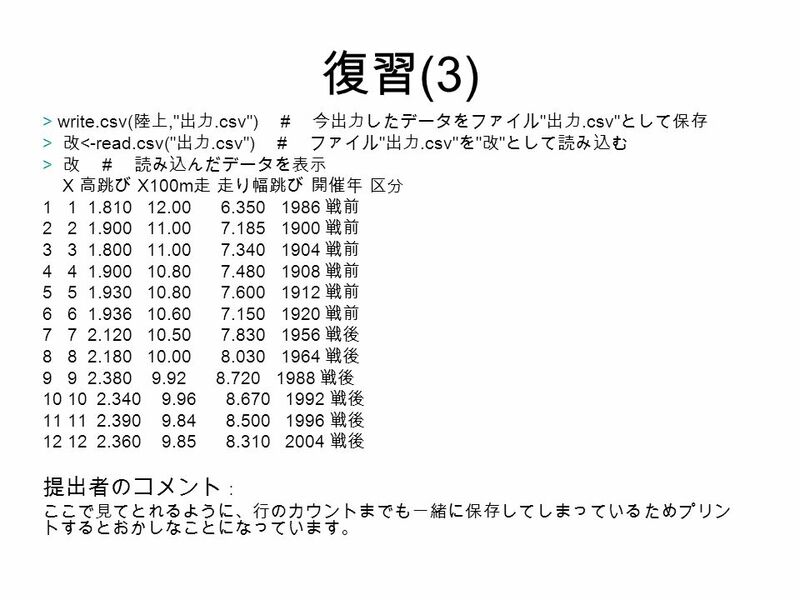 If a numeric vector, its elements are taken as the indices of columns to quote. In both cases, row and column names are quoted if they are written. If FALSE, nothing is quoted. sep the field separator string. Values within each row of x are separated by this string. eol the character(s) to print at the end of each line (row). 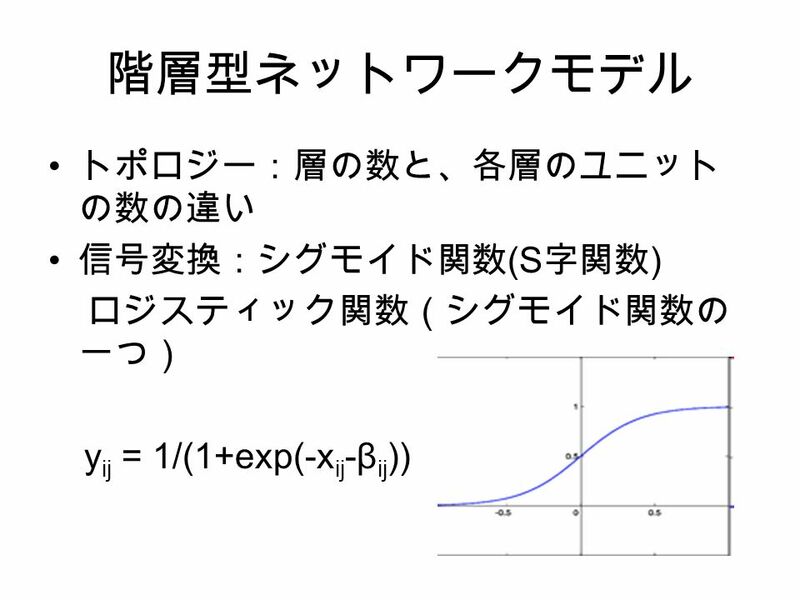 For example, eol="\r\n" will produce Windows' line endings on a Unix-alike OS, and eol="\r" will produce files as expected by MacOS Excel 2004. na the string to use for missing values in the data. dec the string to use for decimal points in numeric or complex columns: must be a single character. 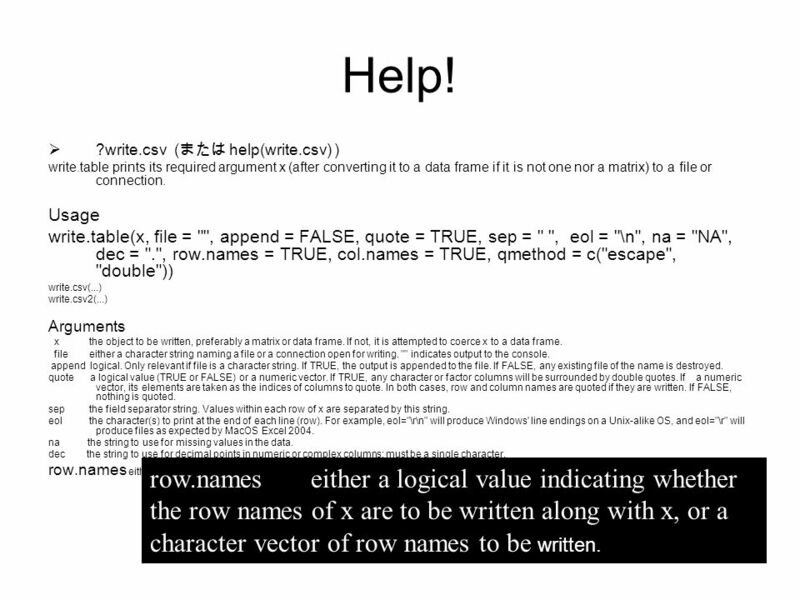 row.names either a logical value indicating whether the row names of x are to be written along with x, or a character vector of row names to be written. 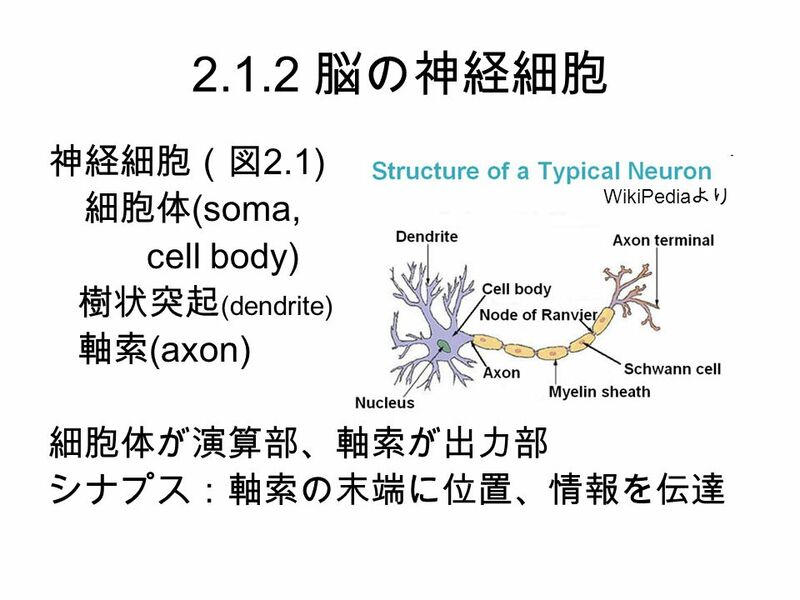 Download ppt "情報知能学基礎演習 (4 月 13 日） 豊田秀樹 (2008) 『データマイニング入 門』 ( 東京図書 ) を用いて 情報知能学科 白井 英俊." 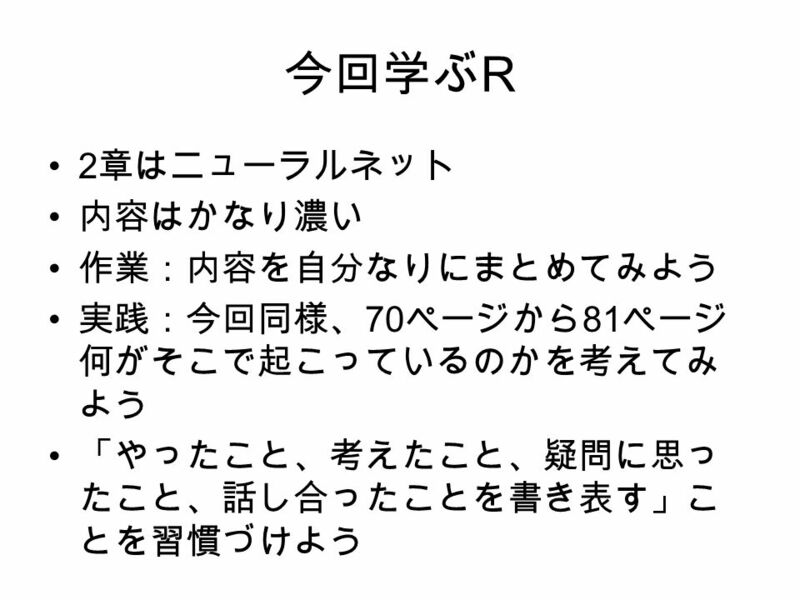 R Basics 2013/12/09 Yamada. 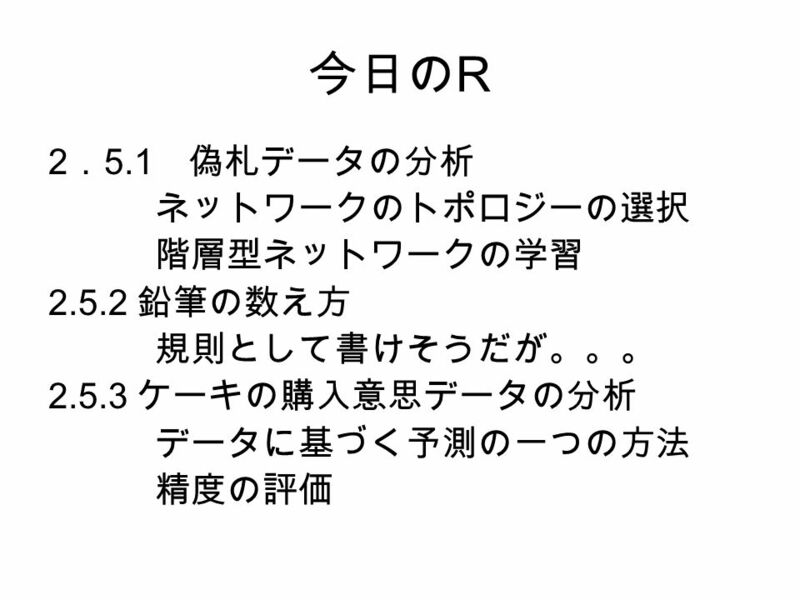 今日の方針 Today’s plan テキスト・文字列を扱うにあたっての用 語の理解をすることの方が、 R での操作を 見るより有意義と思われるので、そちら を優先 Learning terms on text/strings is more. 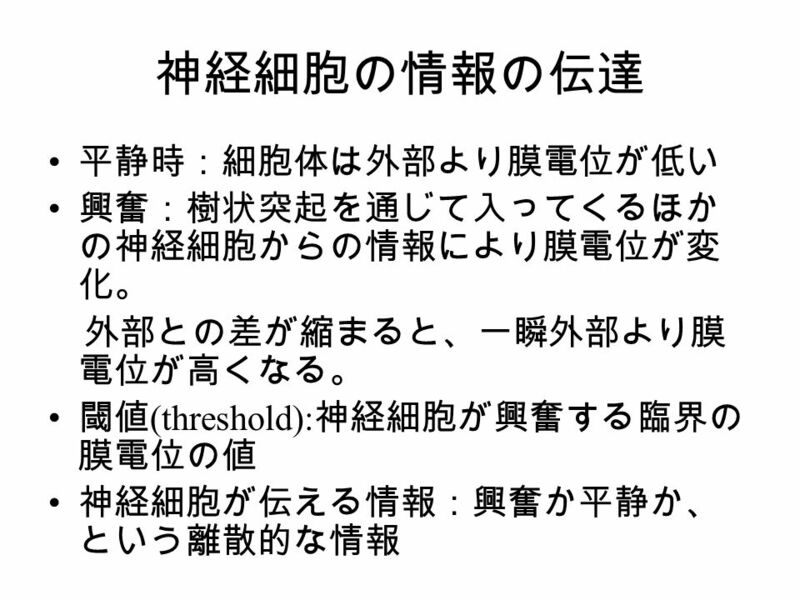 情報基礎実習 I （第６回） 木曜４・５限 担当：北川 晃. 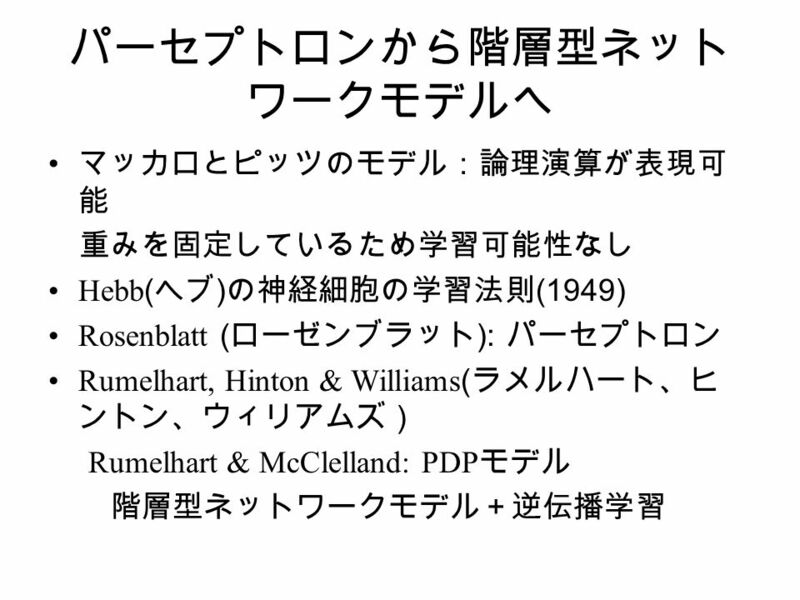 Stream クラスを用いたファイルの接続 … Dim インスタンス名 As New IO.StreamReader( _ “ ファイルの絶対パス ”, _ System.Text.Encoding.Default) … s = インスタンス名. 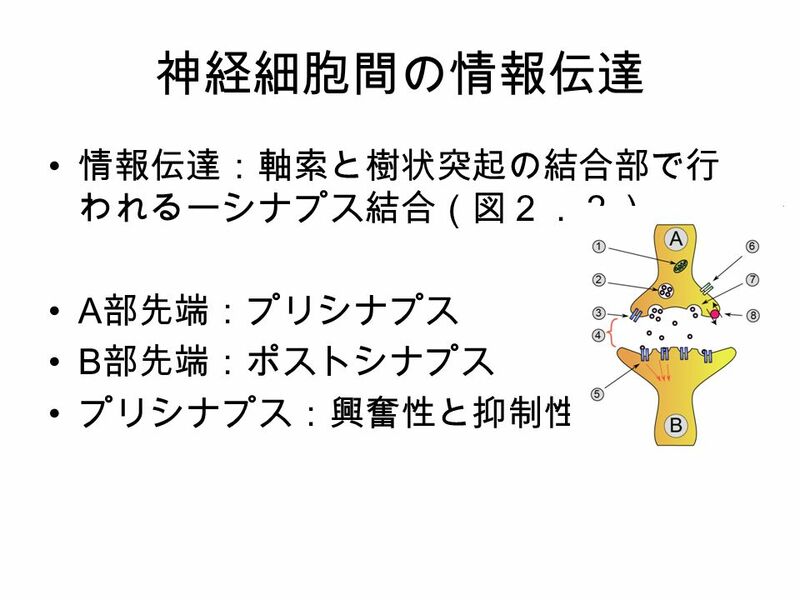 論理回路 第３回 今日の内容 前回の課題の解説 論理関数の基礎 – 論理関数とは？ – 真理値表と論理式 – 基本的な論理関数.